- A complete set of five colors! - Each jar holds about 1/2 cup of product - 2.5 cups total. - You'll get about 6 oz of each color. 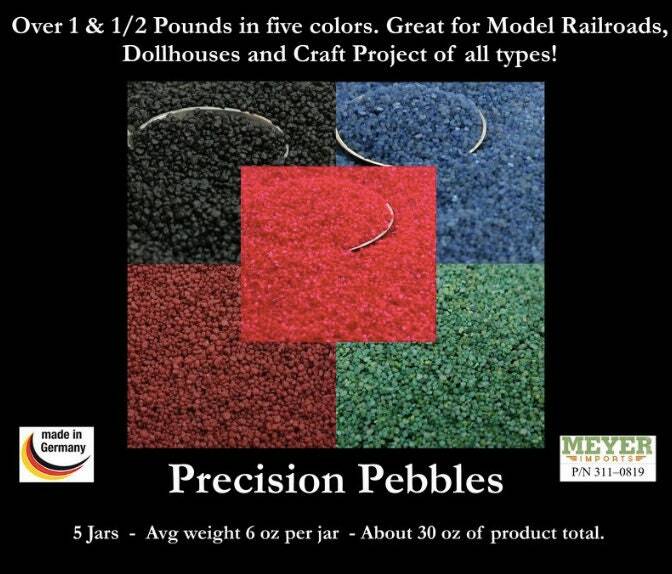 - Pebbles are tiny, look like real miniature landscaping!